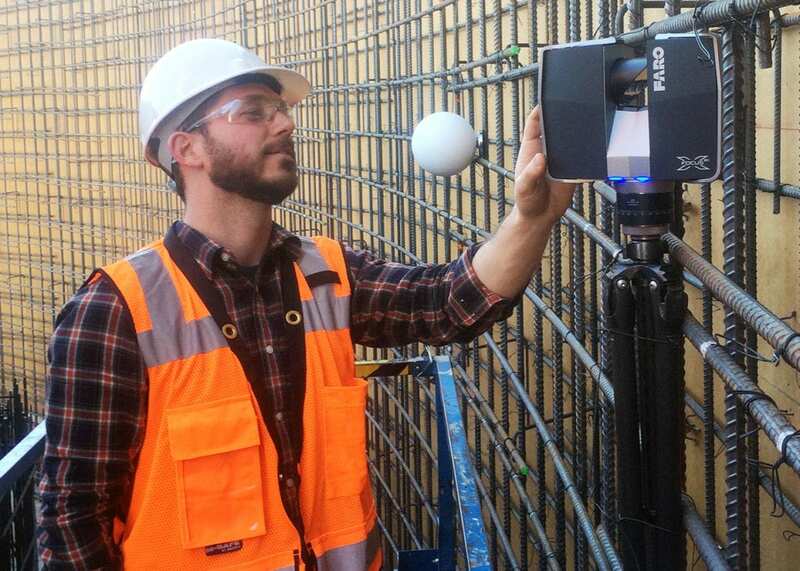 Truebeck Construction has discovered that utilizing laser scanning of in-place formwork is a much quicker, therefore lower cost, and higher quality method to verify field layout of formwork and embeds. Recently on a large scale corporate campus project, Truebeck was scheduled to shoot a radial tapering shotcrete wall, and two days prior, our team was issued a drawing that changed the taper of the concrete wall and its interaction with a concrete staircase. There was very little tolerance on the tapering wall because the stairs, which would eventually be clad in stone, would rest directly on top of the wall. We were faced with the challenge of quickly capturing and documenting the rebar and formwork that was already in place and modifying it in time to meet our schedule. The project team laser scanned the in-place work and compared it to the structural concrete model, which had already been updated with the design change. When the team compared the point cloud and model, it was easy to tell exactly which elements needed to move to satisfy the design change. Our team also laser scanned a 90’ deep elevator casing to make sure that it was located properly and completely plumb. To do this, our team developed a custom bracket to hang the scanner upside down over the hole. Our project teams utilize Tekla Structures to model and manage all the concrete on our complex projects. Using Tekla, our Virtual Design and Construction team can quickly generate highly detailed models, which our project team leverages for the following functions throughout the project. Once our VDC team generated a structural concrete model, Truebeck’s self-perform concrete group determined the best way to create a panelized formwork system that could be fabricated offsite. The most efficient panel system was chosen, and our VDC team developed a parametric panel model which could be easily adapted to all the field conditions. When the model was complete, we could quickly develop detailed shop drawings as well as cut lists. Utilizing prefabricated panels helped us cut time out of our schedule as well as save space on our highly congested project site. 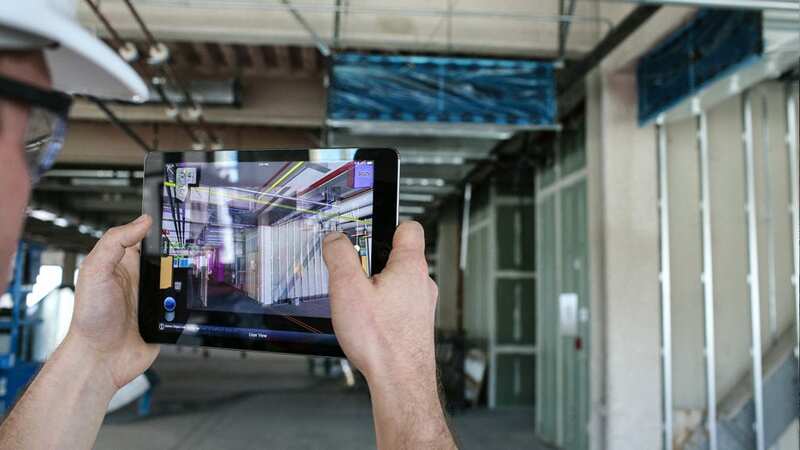 Utilizing BIM to generate complex formwork shop drawings has proven to be cheaper, faster, with improved quality, and reduced waste by enhancing prefabrication.